I’m so excited to be sharing a new feature on Make and Takes, all about crafty shops. I love to buy handmade and want to support the craft community, so I’ll be showcasing super cool shops you need to hop over to for hot crafty buys! Welcome, Ugly Baby and La Ru. It’s the brain child of Rosalie from Ugly Baby Shower Art and Lauren from La Ru. Centrally located in the heart of Seattle, right at Pike Place Market. With their quirky and artistic items, they’ve got what you need for that unique holiday gift. 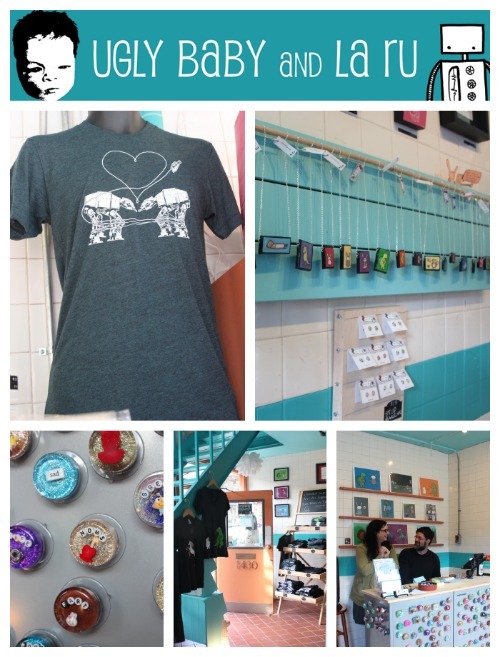 From suction cup shower art and AT-AT t-shirts, to illustrated necklaces and robot prints, you’ve got something for everyone. MT: How long have you been crafting? Rosalie: I have been making things for as long as I remember. My mom taught me to knit when I was 7 or 8 and I’ve been doing it ever since. 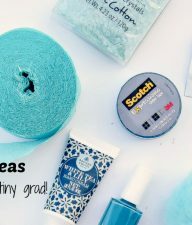 My craft of choice has changed periodically: knitting, crochet, embroidery, sewing, rug-making and now – waterproof art for your shower. Lauren: I have been crafting as long as I can remember as well, but I created La Ru just over 4 years ago. I started a craft group about 4-1/2 years ago. We meet each month and choose a different craft or material to experiment with. One time we decided to experiment with resin, magazine clippings, and scrabble tiles. I loved working with resin, but hated using other people’s imagery and sticking to the size of the scrabble tile. So with some more experimentation I started making my own pendants and adding my own illustrations, then coating with resin. It started just as necklaces and now has turned into belt buckles, cuff links, earrings, purse hooks, prints, shirts, and more. 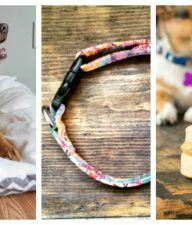 MT: What is your favorite piece you sell? Rosalie: I’m partial to the odd ones that can never be recreated. For example, I just made one that has a guy carrying a pineapple and it says, ‘My pineapple never lies to me.” I find it weird and charming, if I do say so myself. Lauren: I don’t know if I have a favorite piece per say, but I really enjoy making the belt buckles. It’s a little more space to work with than the necklaces and I can add more details and backgrounds. Each one is one of a kind so I have fun adding something unique to each one. MT: Where do you find inspiration? Rosalie: Yeesh. What inspires me? Uh…. I guess I basically just try to turn off that part of your brain that says, “NO, don’t say that!” For me, it’s a very stream of consciousness process. Doug, my husband and Shower Art making partner, has a much more linear approach to Shower Art creation. Lauren: I find a lot of inspiration in animals. I love animals and if it wasn’t for my boyfriend, Matt, we would probably have a mini zoo at our house. I have 2 bunnies, so I tend to draw rabbits a lot. And lucky you… Make and Takes readers who visit the shop in Seattle, and mention you saw this post, will get 10% off your order. Happy craft shop hopping! 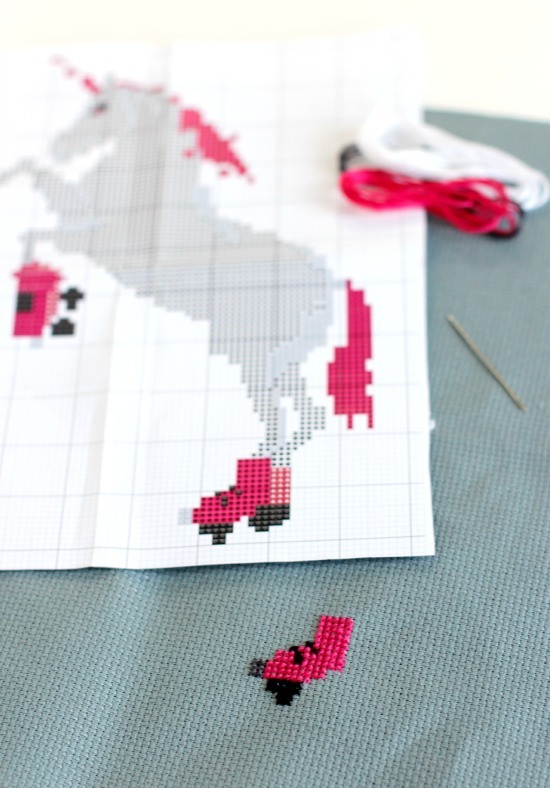 Yes, this cross stitch kit is everything you need to create a roller skating unicorn – made of awesome! 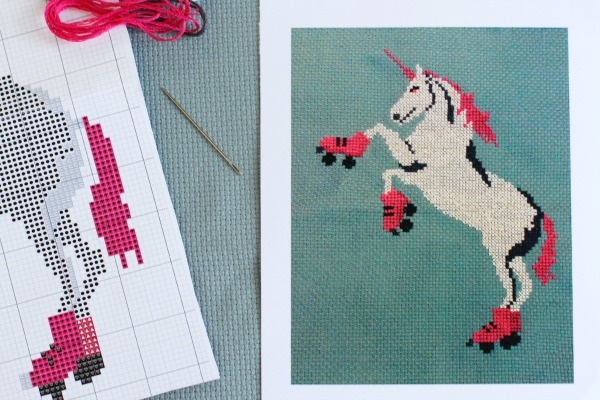 Who doesn’t love unicorns, roller skates, and cross stitching?! It comes from my crafty friend Rosalie, who’s local to Seattle and owner of the shop Ugly Baby! She gave me a kit to test out and I can tell you it really is made of awesome. Cross stitch was one of my first crafty loves. In my teens I purchased one of those $1 kits for a 3×3 inch dinosaur. It came complete with a frame and everything. When I was done, I thought it was the best thing I’d ever done! 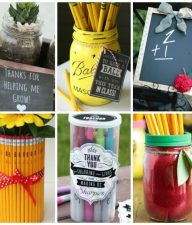 A very rewarding craft, super simple for beginners! 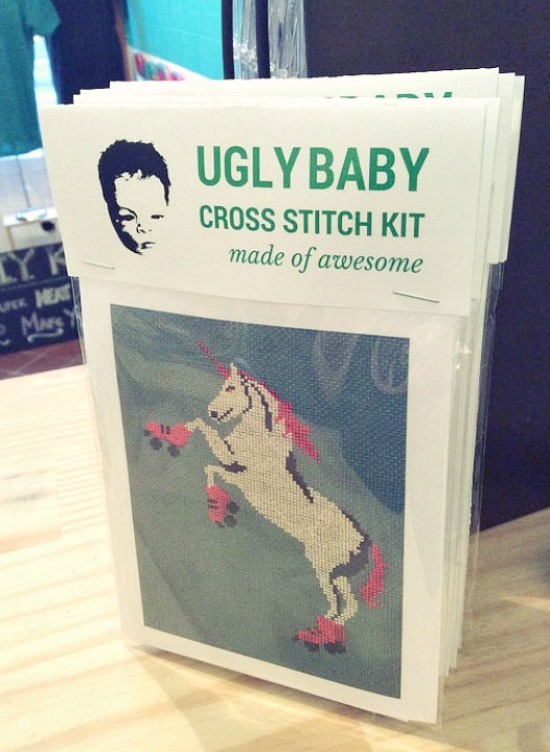 Ugly Baby creates super cool shower art, screen print t-shirts, and now they’ve designed a cross stitch kit out of one of their most popular items… roller skating unicorn. Here it is as shower art, on a t-shirt, and now you can cross stitch it into a framed piece of art or sew it into a pillow! 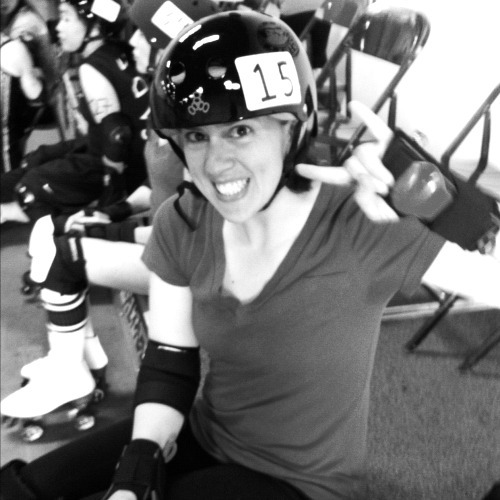 Of course I went right for the roller skate to begin! I know you have crafty people on your gift list. Maybe they love unicorns, roller skating, and cross stitch too. They will love this cross stitch kit made of awesome for the holidays! Thanks so much Marie! It was great to chat with you and hope to see you again soon. 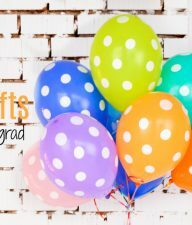 For the Home 15 DIY Graduation Gift Ideas for your grad!